I'm one of those women who can't leave the house without everything but the kitchen sink in her handbag. I've attempted on several occasions to go on a junk-I-throw-in-my-purse diet, but it's tough starving myself of fashion magazines, dry shampoo, evening-ready earrings, handy makeup wipes, an empty notebook, a couple Kind bars, comfy flats, and a small carton of Oatly milk (coffee at work just isn’t the same without it!). Luckily the oversize tote trend (held at the hip on the spring runways at Stella McCartney) and the two-bags-are-better-than-one trend (that sashayed down the catwalks at Chanel) are the perfect fix for my bag lady tendencies. 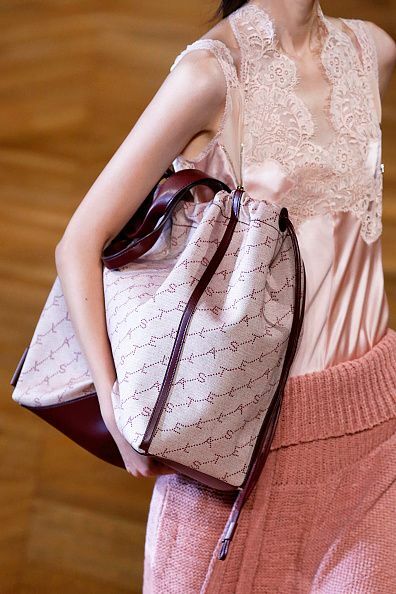 And judging from the diverse handbag trends we spotted on the rest of the S/S 19 runways, there seems to be an ideal carryall to suit every purse-onality. 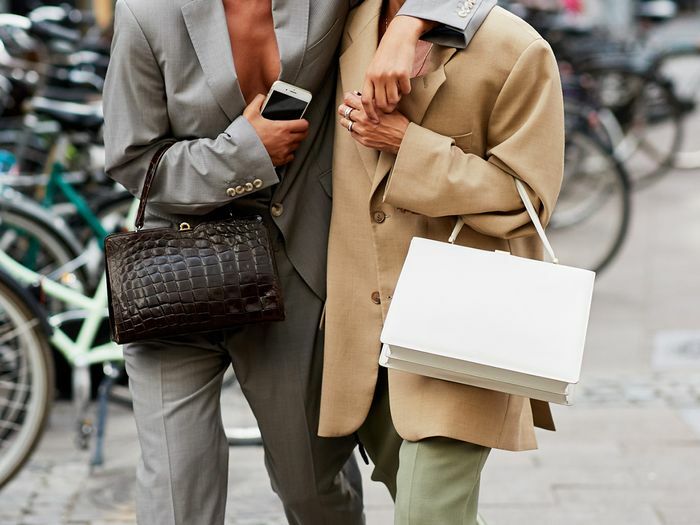 From ladylike top-handle handbags to modern geometric bags, and luxe looking crocodile embossed purses, we've rounded up the chicest bag trends we can't wait to get our hands on this upcoming season. And because we're still exercising a little frugality due to all those pricey holiday purchases, we found every piece for under $100. If you're on the bigger-is-better team, the slouchy oversize tote trend is the perfect fit. Wear it tucked under your arm and held at the hip for a fashion girl–approved look. Crocodile-embossed bags continue to be a major trend going into spring. They're guaranteed to add a luxurious touch to every outfit. The runways confirmed that going hands free remains unequivocally chic. Belt bags continue to be huge for spring and summer, while tiny purses worn around the neck are quickly becoming a fashion-girl favorite. From solid rectangular trunk bags that will make you want to book a vacation asap to elevated box bags reminiscent of your old lunch box, structured carryalls are a fresh, modern way to tote around your must-haves. The ladylike silhouette (loved by the royals) makes its way from runway to real way this season. Raid your grandma's closet for vintage, or shop one of the chic options below. From wicker baskets to crochet totes and woven straw carryalls, the free-spirited bohemian trend has absolute staying power for the warmer months ahead. The sporty bag gets a modern makeover. It's the perfect day-to-night purse and the chicest way to lug around your lipstick. Circular bags reminiscent of perfume bottles and crystal balls add a modern touch to your evening outfit. Up next, the only designer bags worth investing in right now.